Dirkschneider, the original voice of Accept. 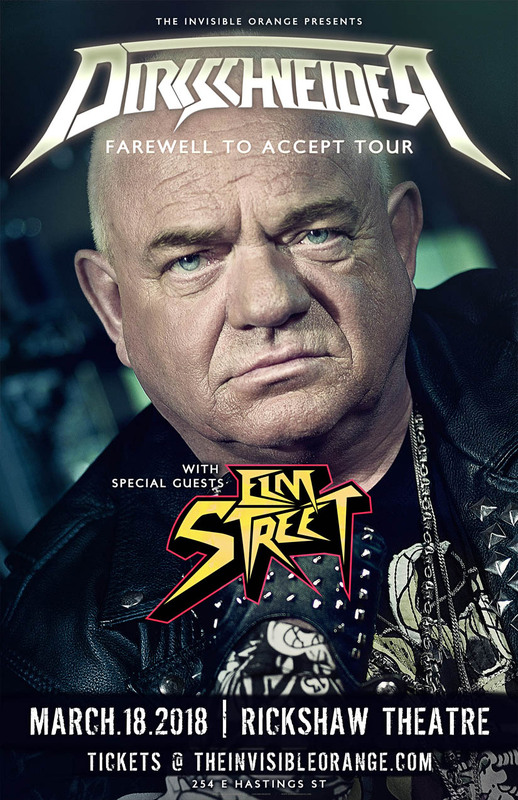 Udo Dirkschneider, the original voice of Accept is keeping his promise to come back to Vancouver after the unfortunate postponement last year, and are now scheduled to play Sunday, March 18, 2018 at the Rickshaw Theatre! 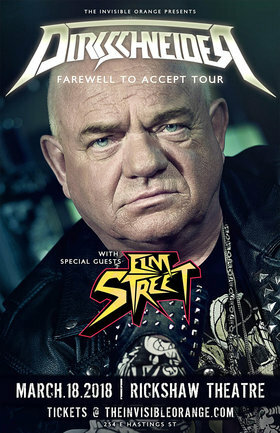 In Dirkschneider, Udo performs all the Accept classics. His last tour in North America was a total success... 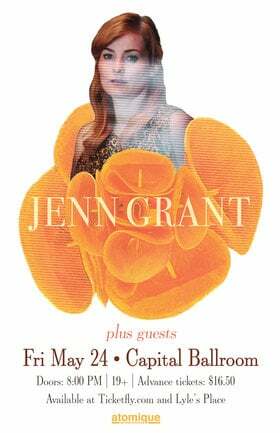 So get your tickets now! VIP and General Admission tickets available now!